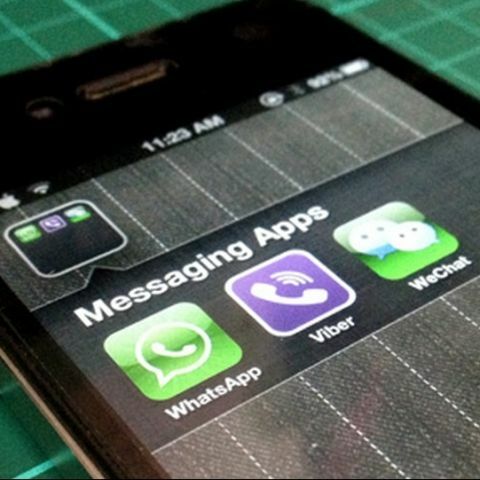 Should OTT services such as WhatsApp and Facebook Messenger share revenues with telecom operators? The Telecom Regulatory Authority of India (TRAI) is reportedly planning to float a discussion paper on the Over the Top (OTT) services such as WhatsApp and Viber. The regulator insists the purpose of the paper is to understand the trend and gauge the impact of its popularity on the industry. "We want to understand what direction it will take in the future, what are the concerns of telecom operators and consumers, and if there are any security threats," Economic Times quotes a senior official at TRAI as saying. The official further added the regulator will also take stock of issues faced by operators with regards to bandwidth usage by OTT players and other Internet companies without sharing revenues earned. Even as the government has made it clear it isn't planning to regulate the OTT players, the telecom operators have long demanded a mechanism to regulate the OTT players and pay connectivity charges to the operators. "A free-rider problem isn't good news for any industry because it curtails, in the long term, the ability of the industry to invest," says a top executive of a leading Indian carrier. "The return on the capital employed in the Indian telecom industry is not great, therefore we can't afford free riders. Every participant in the ecosystem needs to contribute to keep that ecosystem healthy," the executive added. India is one of the top five smartphone-based OTT markets in the world. The top five list includes the likes of China, US, Brazil and Germany which together account for about 67% of global user base. With voice segment stagnating, the operators in India are looking to boost their data network in order to boost revenues. However, rise of OTT players has jolted the operators' ambitions. According to a report by research firm Ovum, telecom operators have lost $781 million, or about Rs 4,700 crore, in SMS revenues in 2012. Ovum expects the loss to grow to $3.1 billion by 2016. Services such as WhatsApp and Facebook Messenger have grown immensely in last two years. A lot of instant messaging companies are now looking deepen their base in the Indian market, which has over 800 million wireless subscriber base. how to make iball9728 server address ? who provide IP address to our devices? how our laptop get IP address?